Here we are, the last day of 2018. Most of this year has been preoccupied with figuring out job stuff and figuring out baby stuff. We ‘officially’ found out we were pregnant on Mother’s Day (I had a strong suspicion the week prior, though); before that, I recapped here. What a weird year with unexpected turns that landed us here today. And seems to always be the case, my 2018 word, Intentional, helped guide me through this past year in ways I couldn’t have expected 365 days ago. 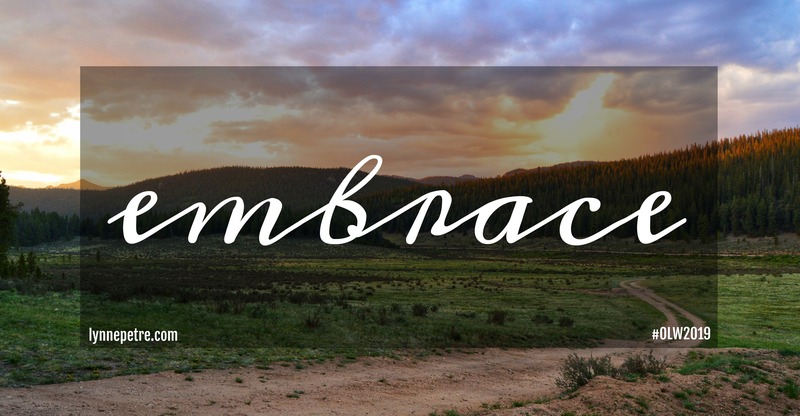 As I’ve been thinking about 2019, I’ve settled on Embrace as my word, my mantra. I have very little idea about what’s to come next year but I know I want to embrace all of it. The unknowns and knowns. The friends and family offering help. The ‘what the hell are we supposed to do now?’ feelings. The sleepless nights and crying baby. The returning to work. The struggle and beauty of finding a (momentary) new normal. The wonder of watching our kid learn about the world around him. As if gearing up for a new family addition wasn’t enough, Alex and I both intentionally changed jobs this fall, within 6 weeks of each other. While we both targeted our new companies intentionally, I’d say that my timing was much more intentional than his. For me, after 4+ years at Ibotta, I was seeking change, a new challenge. My role and team had shifted in my last few months at the company and while it was an interesting change, it wasn’t the direction I wanted to take my career. As I was weighing my options, I knew that if I were to change jobs while pregnant, I’d need to be extremely intentional about my next step since I wasn’t sure what to expect from a benefits – and more importantly, maternity leave – perspective. I carefully considered my options throughout the process and decided that starting a new role at 30 weeks pregnant would mean I should expect nothing from a paid maternity leave benefit. This is to say, I would 100% take a maternity leave but that it would be unpaid time off since I would only be at a company for a handful of weeks before the baby. This helped me really focus my search to companies whose mission and work I was really excited about – I didn’t want to take unpaid leave for just any old company and role! In early November, I walked into my first day at the top company on my short list and into a role that is a great fit for me. My team is customer-focused, newer in it’s product//team lifecycle and staffed with smart, interesting people. It’s a new industry so there’s a ton to learn and a lot of opportunity to do impactful work – both within the company and for our customers. And as icing on the cupcake, I have full access to their (very generous) parental leave policy and have felt so supported as an employee and soon-to-be mom; I sometimes have to pinch myself to make sure this is real life! I couldn’t have predicted things would work as they did but man, am I ever grateful they did. And for Alex, his change was more serendipitous timing but he was similarly extremely targeted in his search/company consideration set. He wasn’t actively looking to change companies but when this new company posted a very similar role to his own, he couldn’t not put his name in the hat – the ‘quality of life’ considerations/benefits were too great to not try. Needless to say, he was offered and accepted the role and started in mid-December; his team functions as a startup within a larger company so there’s a ton of opportunity for him to make significant impact, too. 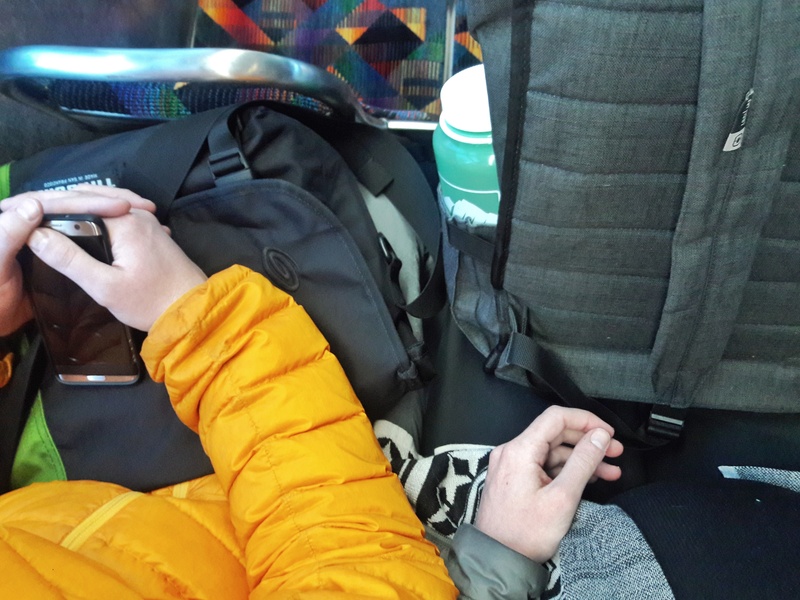 This change is great for our family in a whole host of ways but what I’m enjoying most right now is the fact that we now commute into downtown together on the bus and work mere blocks away so can meet up for lunch or happy hour after work. After years of his 45+ minute commute each way, it’s so nice to have more of my husband back! As we’ve been reflecting on the year the past several weeks, we couldn’t have anticipated the wealth of change that this year held for us – hilariously, this time last year, we had vowed that 2018 would be the year of ‘settling in’ and ‘less change, less chaos’. Instead, we piled on the big life changes but truly, couldn’t be happier about how it’s all worked out, mere days before 2019 and the imminent arrival of our baby. It feels like this is how it was meant to be and we’re both so excited about the future. Earlier this year, I set my word for 2018 as INTENTIONAL for a whole host of reasons. After spending the past couple of years just trying to keep my head on straight, I wanted to be more deliberate in how I approached life this year. My focus has been using my time, words and money more intentionally and, like words I’ve selected in past years, it’s been exactly the right word at the right time. This year, I gave myself the gift of slowing down. I’ve pared down my extracurricular activities and prioritized the things that bring joy and value to my life. Less time running around, more quality time with family, friends and myself. More time exercising, more time sleeping. I also quit Facebook this spring which I haven’t regretted for one second. Like most of us, I was spending most of my Facebook time scrolling mindlessly which brought very little value to my life so I downloaded all of my data and deactivated my account. In my post-Facebook days, I have realized that I found out about a lot of events/things to do via Facebook and without it, I know a lot less about what’s happening but right now, I’m okay with that. It means I have to work a little harder to find the cool things to do and I have to be more proactive (ahem, *intentional*) in reaching out directly to friends to coordinate activities. At the outset, I had meant this to mean reaching out to friends and family more regularly and to be more thoughtful about the words I say to myself and others. While certainly unforeseen at the beginning of the year, I found this reminder very helpful during some challenging situations mid-year in which delicate/thoughtful wording and conversations were key. I’ve been working to strike a balance between audience, content and emotion so that I’m communicating the right thing to the right folks at the right time. My primary objective here is to spend my discretionary money more intentionally. Instead of shopping for brand new clothes, could I instead shop for new-to-me clothes at the thrift store, Poshmark or Ebay? And while I’ve bought some brand new things, I’m proud that my of my clothes this year have been upcycled from someone/somewhere else. It also meant really asking myself, do I need that (THING) or do I just want it? Most of the time, I just want it and taking the time to really consider it has helped me see this. Throughout the year, this goal has grown in scope to include also bringing in money more intentionally. Alex and I have a monthly ‘inventory check in’ (borrowed from THIS podcast episode) and during this, we talk about our short and long term financial goals. Most of our friends know that Alex has an impressive side hustle that inspired me to see what small things I can do to bring in some extra cash to help accelerate progress towards our goals. Through watching dogs on Rover.com and selling clothes/shoes on eBay and Poshmark, I’m bringing in minimum of $150+ extra a month for minimal effort. Not bad! I’ve appreciated the perspective and mindset this word has given me this year and am looking forward to closing out the year with continued deliberate action. Rather than picking a single or handful of resolutions for the new year, I’ve taken to selecting a single word to act as my guide for the upcoming 12 months. Last year, after a hard transition from Denver to Pittsburgh, I selected ‘resilience’ to reframe the negative attitude I had (especially around things I can’t/couldn’t control) to that of seeing silver linings. I needed more joy, more bounce back, more ‘can do’ attitude in my life if I was going to survive 2016. Through a year of transitions and unknowns – from Pittsburgh to a temporary summer in Denver to a full time relocation to Denver to post-MBA plans to open heart surgery – keeping ‘resilience’ on my mind and heart helped me keep perspective and a more positive attitude. This year’s word found me on New Year’s Eve. After striving to exercise creativity the past few months through my sewing machine, I realized that in order to be creative, I need to feel inspired. And as I thought about it, I am craving inspiration in nearly every facet of my life. I want to focus on and notice the details around me for inspiration. I want to feel inspired to create art or projects or creativity. I want to read books that inspire me. I am inspired to find time to act and engage with my community, to give back – and I don’t want that inspiration or drive to push to the back burner. I want to find inspiration in those around me to do my job better, to be a more present wife, to be a more engaged sister and friend, to be a more active citizen. ‘Inspired’ is another mind shift – from going about life with my blinders on, focusing solely on what needs to be done next to stepping back and taking in the world and people around me. There’s so much ‘go go go’ in my days right now and I want – and need – to slow down, look around and find moments of inspiration in my everyday life. I’m looking forward to approaching the next 355 days with a more thoughtful and inquisitive outlook and translating inspiration to action. Since 2012, I’ve been picking a word for the year to use as my spirit guide, helping me navigate the days and weeks in the upcoming year. Previous words include: perspective (when wedding planning), create (when I had copious free time), focus (when I was ready to make a shift) and last year, light (when I knew the road ahead wouldn’t always be sunny). This year, my word jumped out about a month ago. In the midst of me feeling sorry for myself and frustrated about something that wasn’t exactly as I would have picked for myself, I wondered when I’d lost my ability to adapt, to go with the flow. 2015 was a year I spent digging my heels in to avoid the change ahead, like a dog on a leash who refuses to walk past something scary ahead, instead of embracing the new experiences to come. Of course, it’s perfectly normal to be sad and mourn the ‘old life’ but I was disappointed in my ability to see the silver lining in moving. Me! A gal who moved to Atlanta twice by herself for an internship in college! A gal who moved across the country solo after college on her own to a new state! And this time, I moved with my most favorite person, to a city that’s close to my family (and where they put french fries on all foods! ), and I spent much of my time feeling pouty about it. 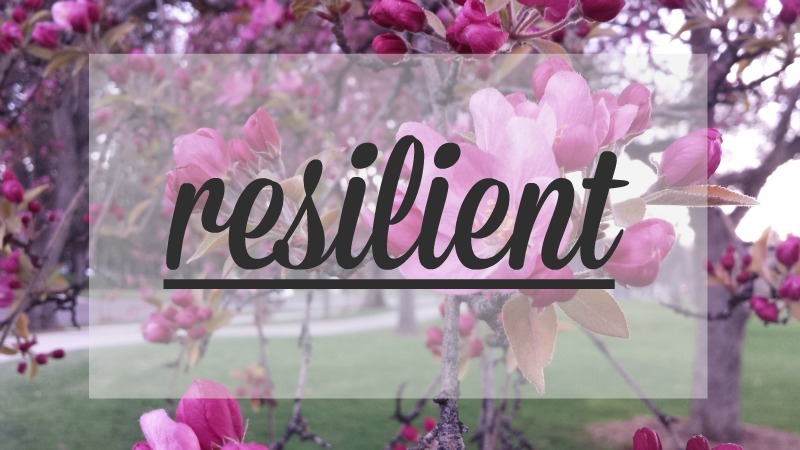 Resilient: a person who is able to withstand or quickly recover from a difficult situation. Not that I expect the next 12 months to be difficult, per se, but I do know there will be challenges ahead and I want to remember to handle them with more grace and flexibility than I did in 2015. I’m getting too far ahead of myself but remembering to be resilient throughout the upcoming year will be key to my happiness and making the most of the short time we for sure have left in Pittsburgh. There will be bumps, there will be U-turns and there will be inadvertent literal bridge crossings (because it’s not Pittsburgh if you don’t end up on the wrong side of a river from time to time) but this gal will be resilient through it all.